Amazon Prime delivers a long list of great movies and TV shows directly to your TV; so when it comes to TV for business, why would you choose anything else? The first, and perhaps most important reason, is because it’s illegal. If that isn’t enough to stop you, keep reading; you’ll see all the reasons why services like Amazon Prime don’t work as well in regards to serving your businesses. Alternatively, if this is news to you, or an urgent reminder for you to find an alternative for your business, take a look at TV made for business by It’s Relevant TV. Amazon Prime in your Business: What’s the Risk? Your subscription to Amazon Prime isn’t a free ticket to play movies and TV shows wherever you please. Even if you purchase a Amazon Fire Stick, you can’t showcase movies that you have access to on Amazon Prime in your business. For the same reasons you can’t show services like Netflix – It’s just not legal. As for why it isn’t legal, the reason is simple. Your subscription – your license to utilize these services, is for private/personal use only. Playing any videos off of Amazon Prime, Netflix, Hulu, or even YouTube without a commercial license violates the Terms & Conditions of the service, and may result in a heavy fine. The writing’s on the wall. The world would be a very different place if TV for business were as cheap as $12.99 a month. The sheer inexpensive cost of paying so little for a cable TV solution should be enough of a red flag. People take licensing violations very seriously. It isn’t worth risking your business – not when a safe and better-fit alternative exists. 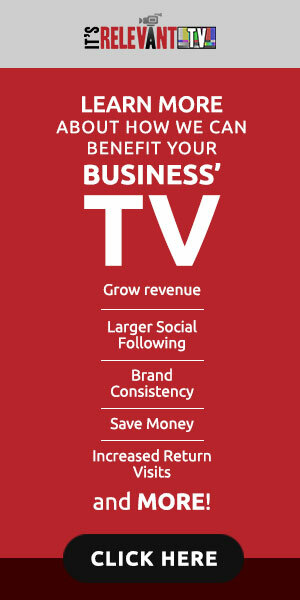 Business TV entertainment should be just that – TV designed for businesses to entertain visitors. Amazon Prime, and all other services like it, are great; at home, or on a personal device. Ignoring for a moment that they’re illegal to show in public, ask yourself if the movies and TV shows are really the best fit for a limited waiting time anyway? Movies are long, so are TV shows. Visitors don’t come to your business to watch TV – unless you’re a sports bar. One fact is true, however; people notice the TV. When you settle for movies, or cable for your business TV, you’re missing out on a unique way to reach your customers and market your business. The TV on the wall in your business is prime real estate for an easy-to-use digital TV solution that could improve your business, brand, and visitor experience. We live in an age of technology where business owners no longer have to settle for basic cable, or risk playing streaming services in front of the wrong person who will turn you in. Not when digital signage apps and custom TV networks are available for business owners to take advantage of instead. It’s Relevant TV (also known across the country as IRTV, or RELE.TV) is a digital TV platform that streams television straight to your business TV. Its custom TV network works for businesses, and is designed with businesses in mind. IRTV gives you the freedom to control what’s on your TV. You choose which categories you want visitors to watch, and upload any ads, videos, or reminders that you want people to see as they look at the TV. It’s Relevant’s interesting, and always-family-friendly content leaves visitors entertained, informed, and educated about your brand. Whether it’s waiting room screens, a medical office waiting room TV, or simply a restaurant TV, It’s Relevant is your go-to for waiting room TV programming, and waiting room television. IRTV gives you a hand when it comes to becoming more relevant to your customers. Don’t settle for cable, or be tempted to risk your business with low-cost subscription services meant for private use.